Inception. Casa Julián de Tolosa. 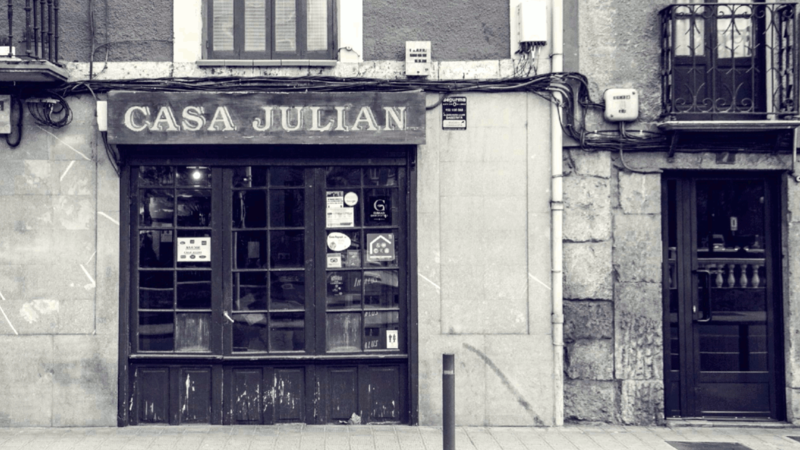 One of the first reported Basque steakhouses was born in the mid-1950s: Casa Julián, in Tolosa, thus beginning the roasting tradition in this town in the province of Guipúzcoa. With a disruptive commitment that positioned the grill as the centre of the gastronomy based on the product, Casa Julián came to stay and become the world reference grill that it is today. Casa Julián in Tolosa was inaugurated in 1954 by Julián Rivas, a restless fruit vendor who, after long conversations with a friend recently arrived from Argentina, decided to reconvert his fruit shop, which already had a space where he prepared sandwiches, into an Asador, thereby becoming one of the first grillers of what is now a Basque tradition. He was therefore the pioneer of the current steakhouses in the Basque Country. In addition, Julián was the creator of the famous homemade piquillo peppers, a side dish to meat quite unusual until that moment and which sought to make the carnivorous agape lighter than having the classic garnish of chips. In love with the grill, and with the help of his friend who returned from Argentina, he began to investigate different ways of making asados (barbecues). Thanks to his reflections on the domain of fire and embers, he invented the inclined rod grill that is still used today at Casa Julián in Tolosa, and has been imitated so many times everywhere. Being a great visionary, Julián placed the grill presiding over one of the rooms, thus doing showcooking in the middle of the 50's. He also organized discussion sessions in which he held meetings with local surgeons and doctors to debate which was the best cut of meat and how it should be performed: cuisine and science were combined long before the great innovative cooks relied on scientists to improve their creations! After Julián Rivas retired, the steakhouse was run by Matías Gorrotxategi, who took over the business after a long period of learning with Rivas. Matías Gorrotxategi continued with the legacy of the founder until he became an admired barbecue griller, placing the asador as a world reference for the roast of meat. His sons Mikel, Xabi and Iñaki have continued his work, all becoming the princes of the grill, because Matías Gorrotxategi, now retired, is still the King. In 2000, Mikel Gorrotxategi took over the gastronomic management of Casa Julián Cava Baja after learning the fundamentals of grilling at Casa Julián in Tolosa from the best teacher, his father, and after having developed professionally in other culinary areas in various renowned restaurants. At Casa Julián Cava Baja he makes his own personality and origins clear by choosing some of his own dishes that can only be enjoyed at the La Latina branch in Madrid.